Heading to the gym and spending a hour on the elliptical machine or treadmill might sound like complete torture for some, especially for those who are just starting out on their fitness journey. However, with the recent offering of various other sports or fitness classes, you don’t even need to step inside a gym to get that 6-pack you’ve been dying for. From flyoga to inline skating and mermaiding to POUNDing, here are 15 alternative fitness classes and sports to join in KL. Bonus: they’re a whole lot more fun too! Gymnastics is often seen as a sport which requires one to start young because we are typically more flexible and pick up faster when we’re younger. Adults would tend to shy away from sports such as gymnastics for this reason, but your gymnast dreams don’t have to die just because you’re an adult. 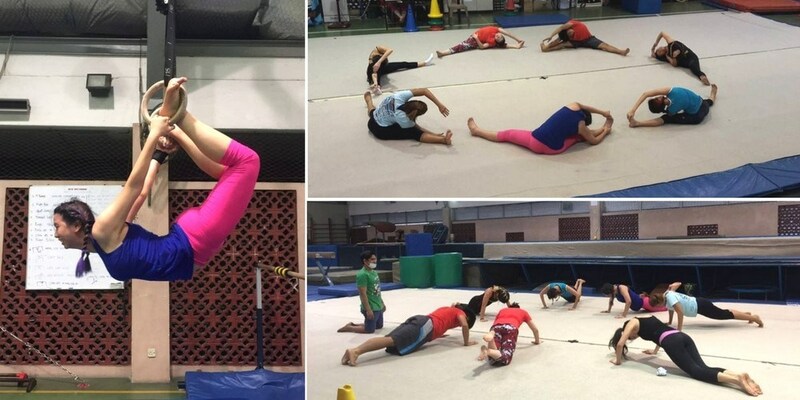 There’s a gym in PJ called Total Gym Club which offers, on top of various other courses, adult gymnastic classes, and the class is open to those aged 18 and above. Potterheads would be familiar with the quidditch sport where players fly around on broomsticks. Clearly, humans can’t fly and that’s the major difference between the Harry Potter version and the sport played by Malaysians. However, that’s not the only difference as the quidditch sport played in real life is actually a contact sport which is a mix between rugby, dodgeball and tag. 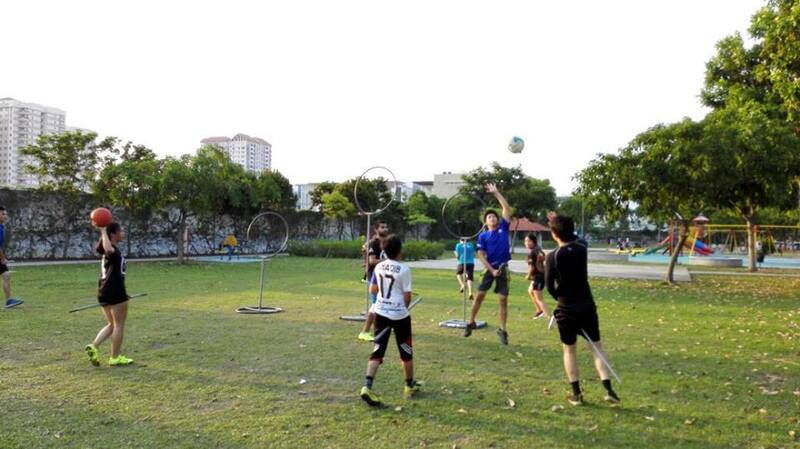 The Damansara Dementors is a quidditch group which holds weekly trainings on Sunday evenings and are constantly on the lookout for new members. Shimmy your way to a fitter you with a raksfit class which basically consists of a zumba style of belly dance, coupled with a hip scarve. The Middle East Dance Studio offers hour-long raksfit classes for those who are looking to learn the art of belly dancing whilst at the same time want a cardio-based workout. Raksfit is afterall an uptempo version of the original belly dance. A spinning bike might look harmless enough but spend a 45-minute session with FlyCycle, and you’d be drenched in enough sweat to realise that it’s actually a killer workout which targets more than just your legs, which is the common assumption. 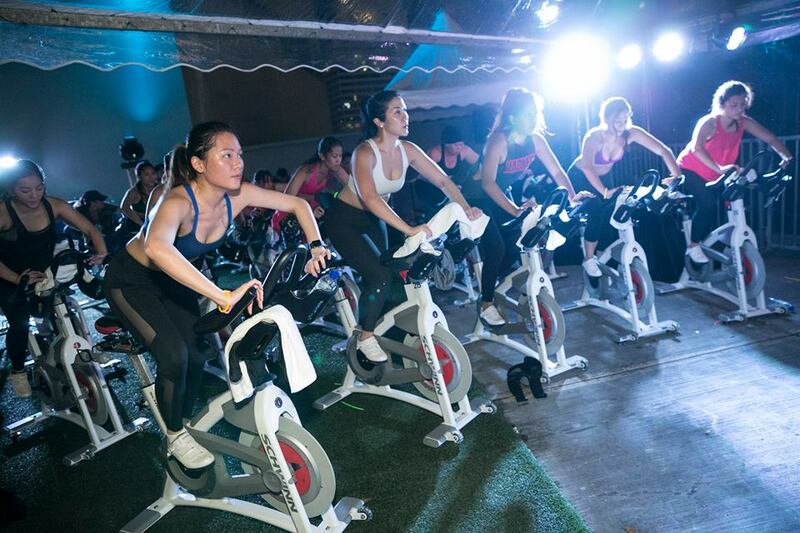 FlyCycle’s classes are upbeat and it might just be mistaken for a party, what with the neon lighting and the latest music blaring through the speakers. Parkour is a form of art which showcases an individual moving freely over and through any terrain by running, jumping, tumbling and climbing. It’s a sport which tests the mind as well because half the challenge is to have the courage to jump and run from point A to point B and sometimes, this includes jumping from one wall to another with huge gaps in between. Those who practice parkour gain benefits such as confidence and self-reliance on top of building their stamina and getting fit at the same time. 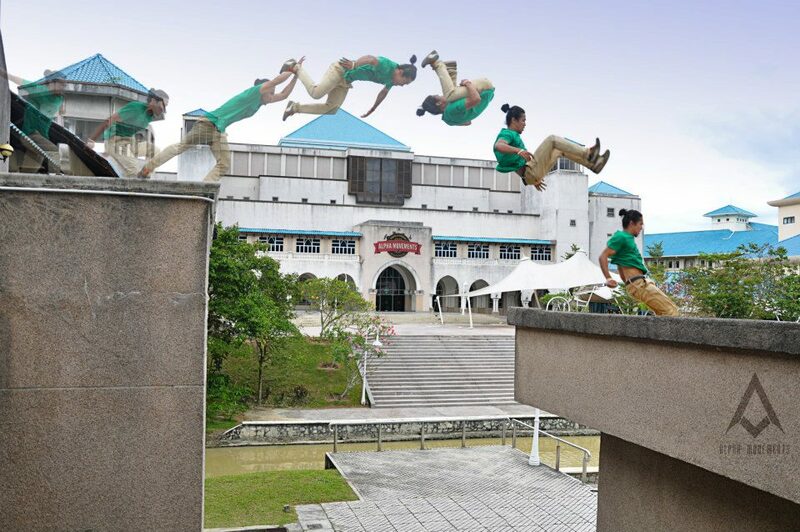 Parkour Malaysia has classes for those who wish to learn this sport and even for those who wish to be certified as a parkour trainer. Barre classes at Urban Spring is a mixture of dance, ballet and pilates and it is intended to strengthen, lengthen and chisel the body. Though it is not a high intensity cardio workout, you would still wind up sweating buckets and end up with aching muscles, but in a good way. Urban Spring has 2 types of classes called the XTend Barre Fundamentals and the XTend Barre Stick, both of which are 55 minutes long. Ever watched a drummer jamming away to an upbeat tune before and figured if that was a legit arm workout right there? Well, POUND takes that very principle and turns it into a full-on cardio jam session where you are essentially going through the movements of playing the drum. 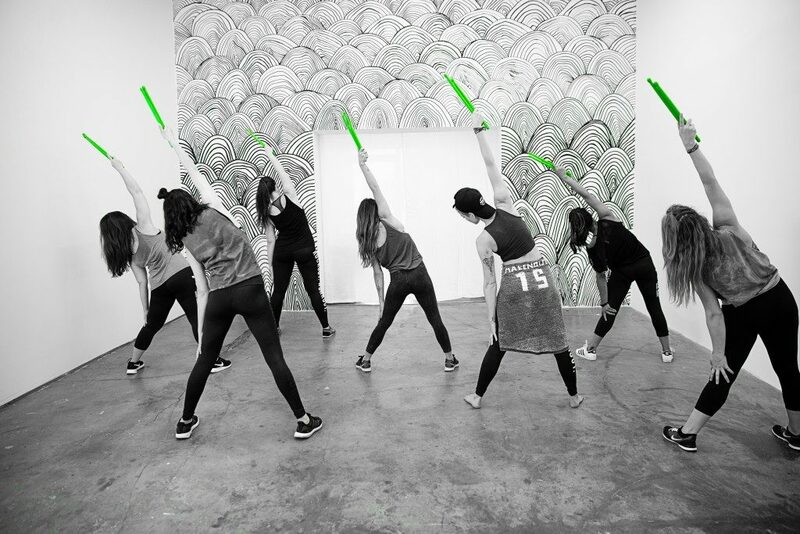 It’s a creative workout which feels almost like a dance choreography with the inclusion of drum sticks and Sole to Soul Dance Studio is the first in Malaysia to offer POUND classes. If you’ve ever aspired to be a mermaid, DolphinLee Aquatic offers mermaiding classes which is the practice of wearing a costume mermaid tail and swimming in it. At DolphinLee Aquatic, the mermaiding class offered is a version of an aquarobics session where an aerobics workout is performed underwater. On top of mermaiding, DophinLee Aquatic also offers other lesson such as scuba diving, swimming and freediving courses. Pole dancing is a workout which combines both dance and acrobatics. While one does not necessarily have to be naturally flexible to attempt pole dancing, it definitely helps to have background in dance, gymnastics or acrobatics. At Viva Vertical, pole dancing classes are offered, on top of acrobatics, aerial arts, flyoga and jazz and hip hop dance classes. Inline skating is a rollerblading sport often enjoyed outdoors. At Skateline, classes are offered to students aged from 4 till 60. 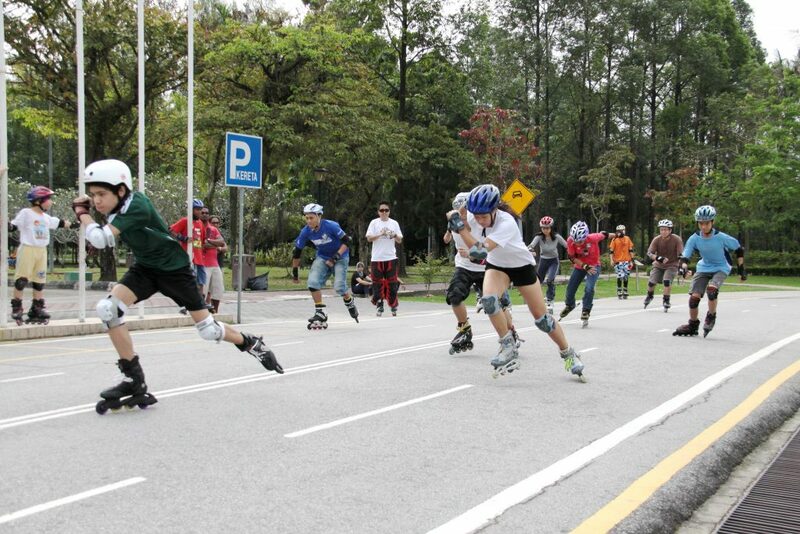 The Learn-to-Skate programme at Skateline teaches one all the necessary skills in inline skating such as falling down and getting up as well as skating from point A to point B. It’s a six-level programme which is taught by Inline Certification Programme-certified instructors. Hula hooping might not seem like a sport which torches calories, but it incorporates spinning a hula hoop around the waist, arms, legs and neck and you’ll constantly be moving so as to keep the hoop spinning. The Hula Hoop Institute offers retreats, events as well as Skype lessons for those who wish to learn to hula hoop. Classes are taught by renowned hula hooping instructor, Mishie Hoops. Flyoga is a form of yoga performed in the air and it incorporates an aerial hammock as well. Flyoga students will learn how to focus on their core strength, flexibility and breathing as they perform moves in the hammock. The benefits of flyoga is improved muscle tone and core strength. 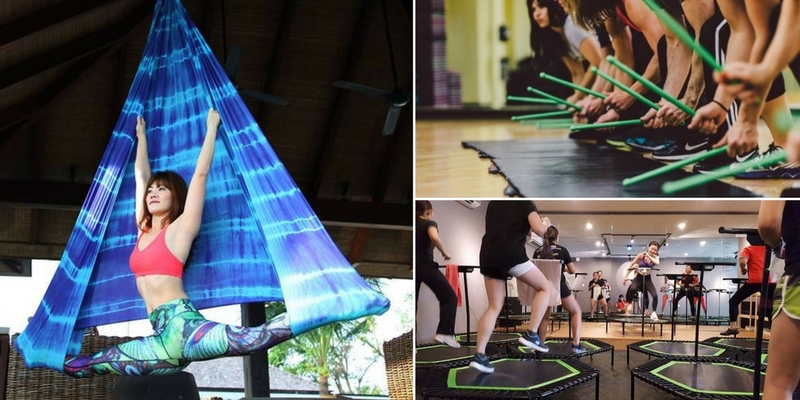 Dreams Dance Studio in Subang Jaya offers flyoga classes, on top of various other lessons such as pole fitness and aerial hooping. Fencing is a sport which requires one to think quick and constantly think of what the opponent’s next move might be. 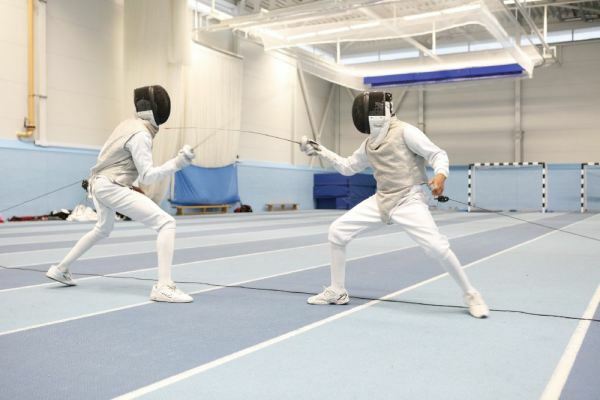 Bekking Fencing Academy in Wangsa Maju offers classes for beginners all the way up to those in their advanced levels. It is one of the few fencing academies in Malaysia and students of this academy have trained in competitions and even earned themselves gold and silver medals respectively. Jumping Fitness is a fat-burning, sweat-inducing workout where students will jump on some specially-designed Jumping® PROFI trampolines to some upbeat tunes. 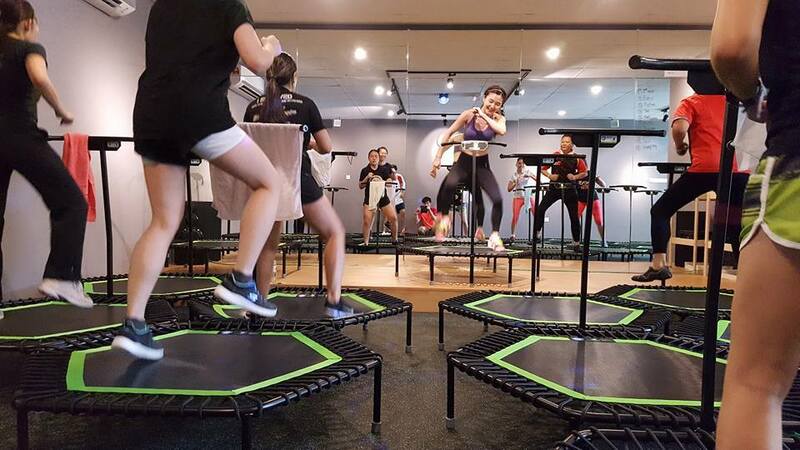 Classes are held at the Jumping Fitness studio in Bukit Jalil and this intense workout can torch up to 1,000 calories in a single class. 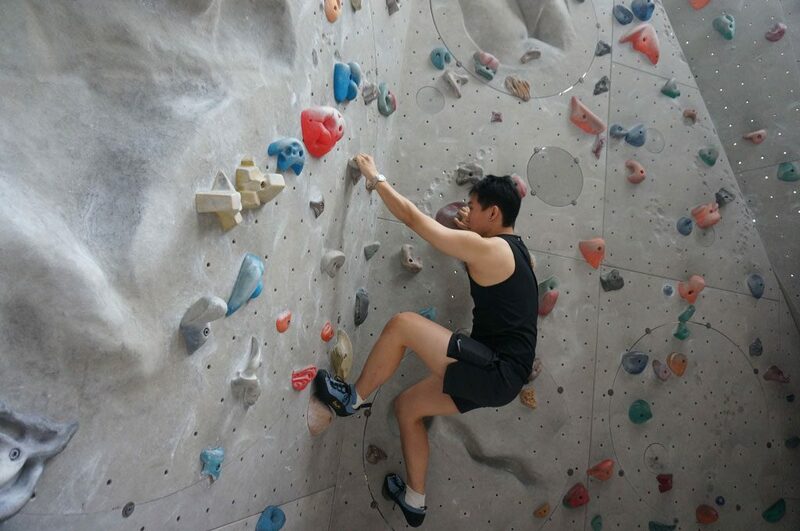 Camp5 is one of the well-known places in KL where rock climbing enthusiasts can enjoy climbing up an artificial rock wall. It is a total body workout where participants will try their best to climb all the way to the top whilst strategically placing their hands and feet on the wall holds.